Qetello Zeka is the General Manager of Business to Business at Total South Africa servicing, among others, mining, construction and transport companies. 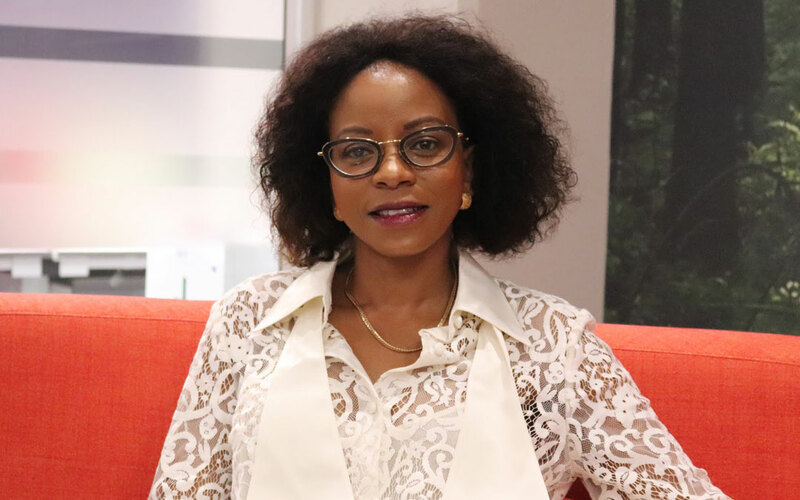 She is an executive board member of Total South Africa and also serves as a non-executive director of Total Gaz and non-executive director at Gulfstream Energy. Qetello is an LLB graduate from the University of KwaZulu-Natal and has been in the petroleum industry for almost 20 years. In your opinion, what is the status quo of transformation in the petroleum industry? The petroleum industry has moved a long way from when I started almost 20 years ago. Today we see diversity in all levels of organisations whereas previously the focus was on the transformation of non-decision and non-technical roles. In recent years the focus of transformation has expanded from race to the inclusion of women, especially in senior executive roles. There is always room for improvement, especially when it comes to seeing women in senior technical roles. What is your vision regarding transformation in this sector in particular? To provide more women, especially black women, with the opportunity to step into executive technical roles. As industry, we have to encourage diverse participation through targeted scholarships and bursaries and even strategic training programmes within our organisations. If we do not actively break down the barriers to entry in the industry we will forever be striving and never getting there. As a black woman in various leadership roles, what have been some of your biggest challenges and successes? There have been a number of challenges ranging from customer perceptions of what I could deliver to lack of support from colleagues and sometimes doubting myself about what I could become. Yes, it’s true that some of them were because of my race and gender but as I look back, some of them were just self-imposed pressures. I say self-imposed because there is an incorrect belief in our society that as a leader or a manager you are meant to have all the answers to all the problems and that is absolutely not true. What is true is when you don’t know, you have to ask the right questions to the right people. You don’t have to be the saviour of the world, but it is important to have the right team so you can jointly find the solution and then as the leader you can make an informed decision. I have learnt that along the way and that has been my greatest success. It has allowed me to breathe. What do you see as the critical steps we, as South Africans, need to take to create a South Africa that works? The number of unemployed graduates in our country is of great concern, as well as the number of unemployed people not looking for jobs. We need to encourage young people to be educated in the skills that the country requires to enable us to grow our economy efficiently. This means we need to map these out and share them with high schools and institutions of higher learning. We live in interesting times and I am constantly reminded by what John F Kennedy said: “Ask not what your country can do for you, ask what you can do for your country”. This was recently reiterated by our own 1st citizen who has encouraged us to participate in the growth of South Africa with: “Thuma Mina”.